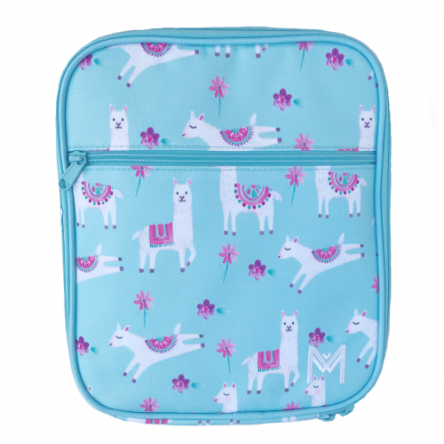 Feast your eyes on these cool MontiiCo Insulated Lunch Bag – Llama! 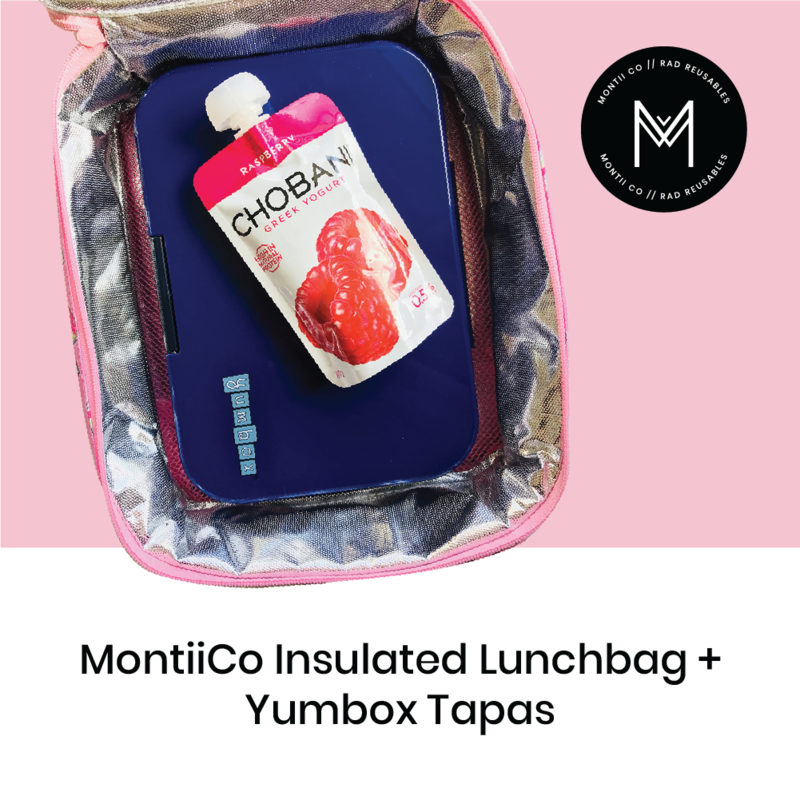 Made for all those with a craving for lunch time adventures. Take them far and wide, we’ve made sure they can handle the Aussie heat! Plus, there’s no need to worry about lastability, we’ve got it covered with the raddest premium materials that have been fully tested for durability. Meet Llama. Need a new cool bag? 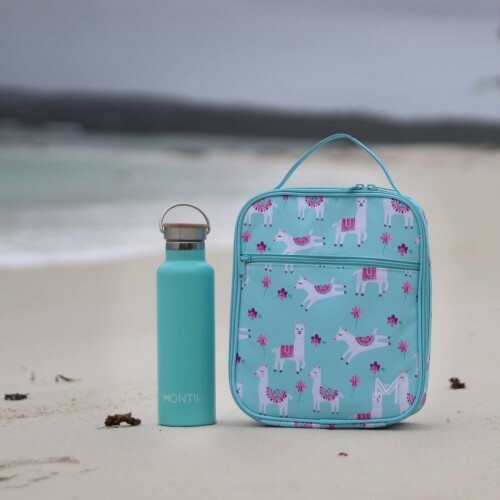 No prob-llama! 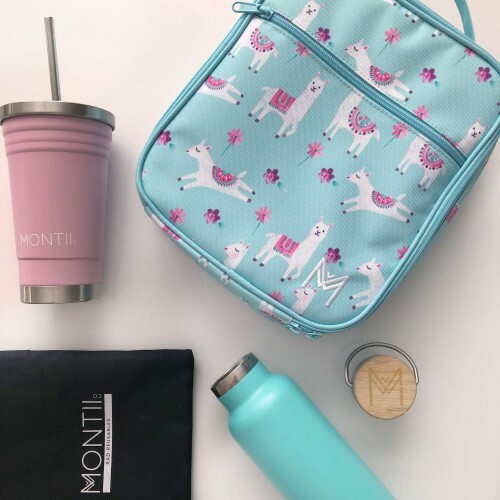 With a wink and tassel flick these pretty southern ladies have galloped into the Montii insulated bag range. 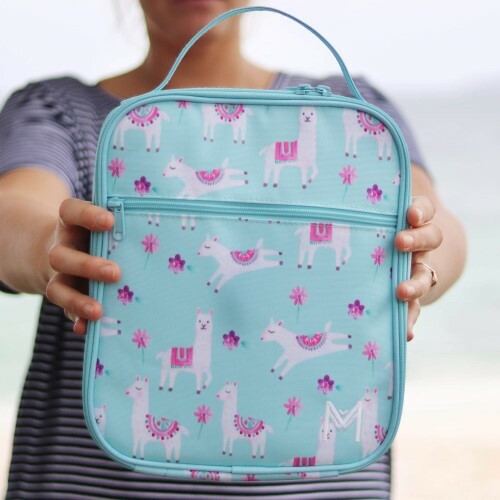 It’s made to last and way more fun than regular ol’ lunch bags. Coz lunchtimes shouldn’t be boring. • Quality aluminum lining. 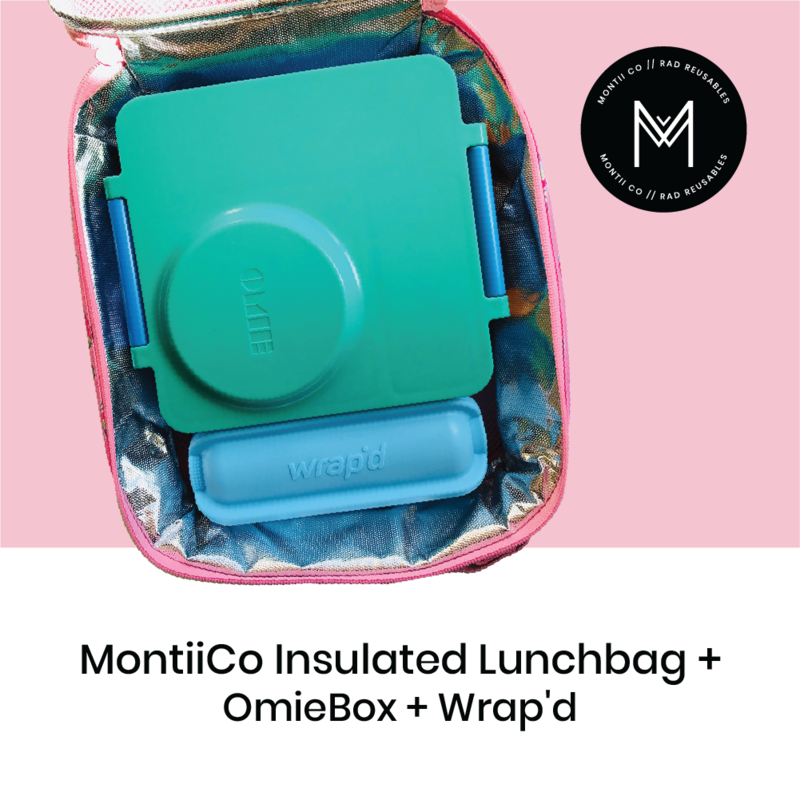 No plastic comes into contact with your lunch..
• Thick insulation to keep contents cooler + fresher for longer. • Easy to wipe clean, for a mess-less life. 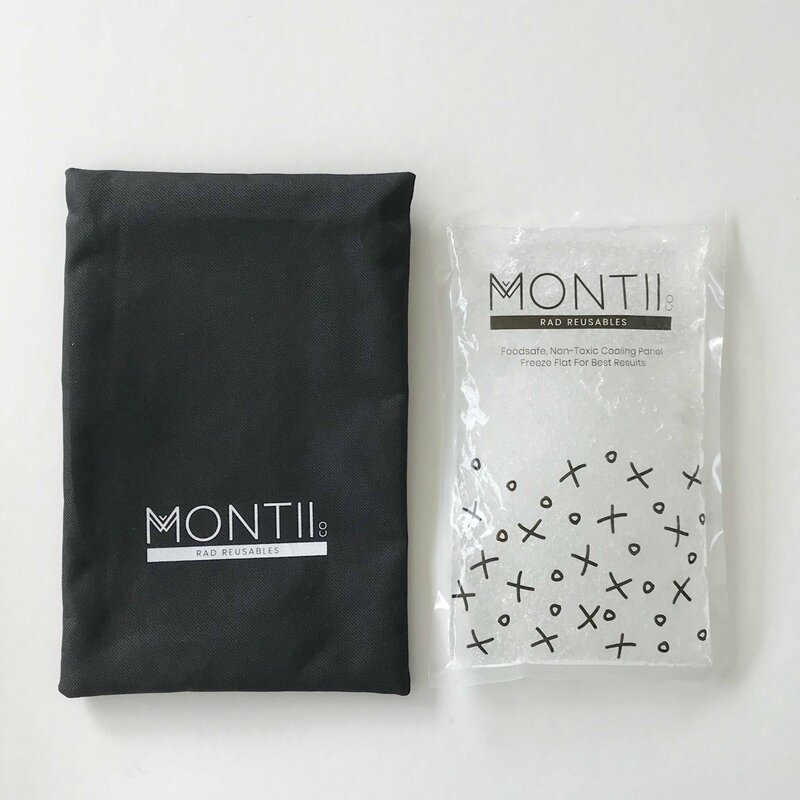 • Self-contained gel ice pack, independently certified “food safe”. • Separate pocket for the ice pack. No condensation = No soggy food. 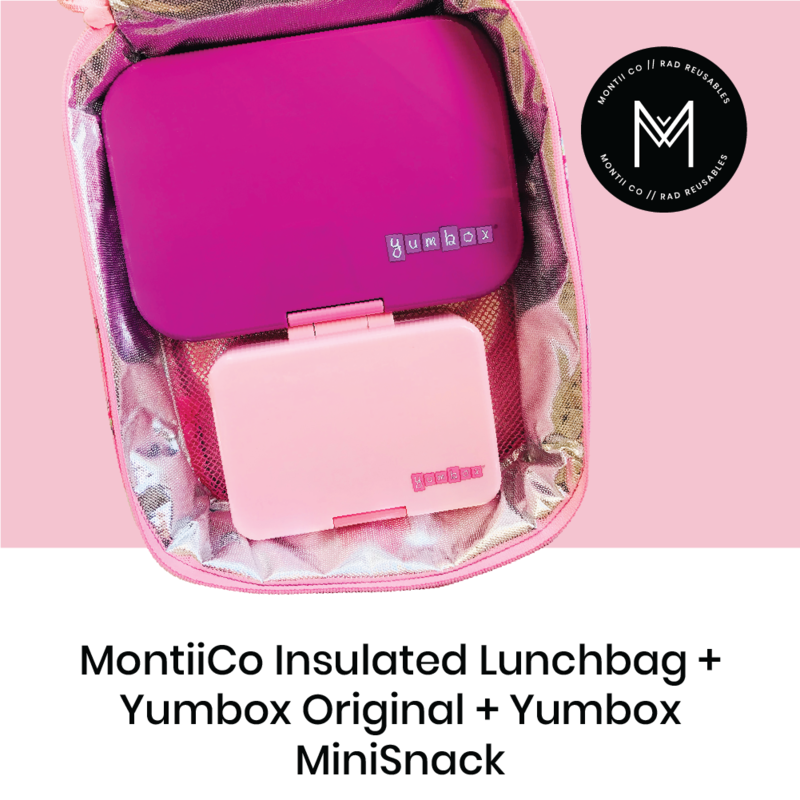 • Large, flexible design for more room to pack lunch. • On trend custom prints. 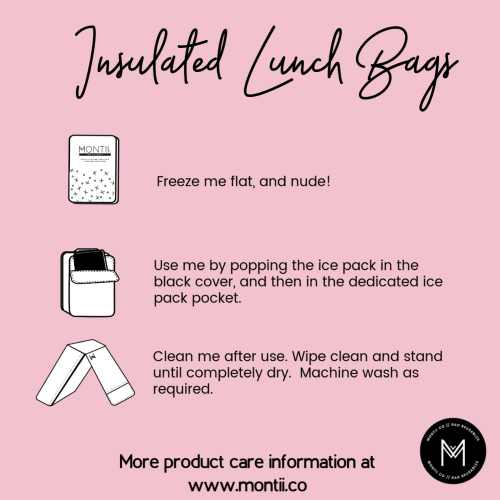 – The ice pack should now be frozen WITHOUT the ice pack cover. It’s best to air the ice pack cover overnight to allow it to thoroughly dry before using it the next day. Wet or icy ice pack covers may cause increased condensation, and dampness on the outside of the bag. 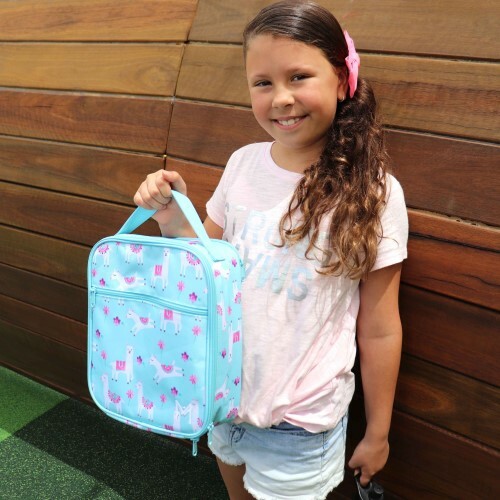 – Lunch bags are machine washable, and may be pre-treated with soap / stain removers. 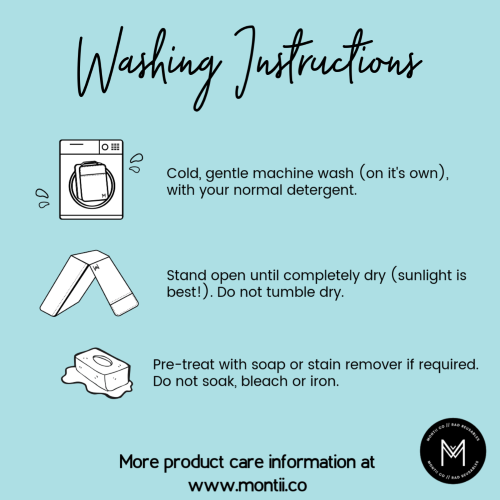 Do not bleach, soak or iron. Bags need to be 100% dry before storing. Air drying in sunlight is best – as a natural stain remover and mould inhibitor.